Always ready to help a friend, Katharine Murray has made her way to Bayard Island off the coast of Georgia with Dr. Flo Gadney, to attend to an unsavory errand. Burch Bayard, local patriarch and greedy landowner, has a nefarious plan to build McMansions up and down the island—and over graves that may belong to Dr. Flo's ancestors! The friends set to work to make sure that Dr. Flo's family tree has its roots in the old cemetery, a task made very difficult by the lack of Southern hospitality from the island's inhabitants. One old woman even tries to shoot them! But when that woman later turns up dead, Katharine and Flo realize there's more than bodies buried on that land. And if they keep unearthing the island's secrets, they might be digging their own graves. 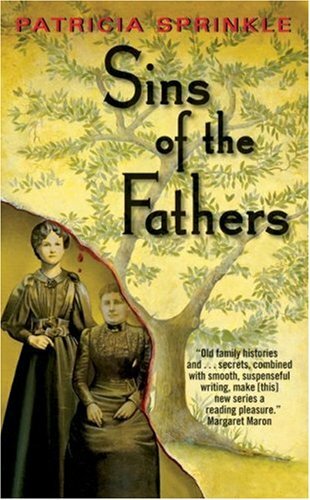 This is the first book in the Family Tree series. I enjoyed the second one, so look forward to this one now. I enjoyed this one and had family tree scenarios going on paper while I was reading it. This is the second one in this series that I have read and I hope to read more.